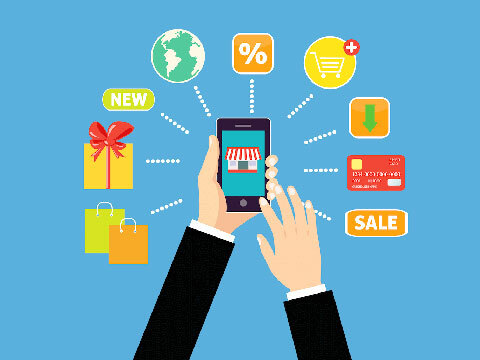 E-commerce as a channel is fast changing both buying and selling experience. Although much has been said about buying convenience, there is a paradigm shift in for resellers who have adopted e-commerce distribution. We can take this in two part one reseller selling in global markets second technology changing the way product is offered to a customer. Today a reseller sitting in any part of India can sell his product globally without getting into complexities of exports documentation and process. In e-commerce, it is called cross-border trade or CBT. There is the advantage of this business as a reseller you are selling to the customer directly. This helps in understanding the customer buying behavior and it is a cost-effective way of selling. The third biggest advantage is profitability for the reseller. E-commerce enables the reseller to sell directly to customer hence eliminating middleman leading to better product pricing and also higher margins for the reseller. So, global e-commerce helps in reducing inventory risk, ensure payments, helps in knowing the customer better and increases profitability. In India, you can use E-bay and Amazon platforms to sell globally. Apart from this, platform like Amazon gives warehousing facility to store your goods in their warehouse abroad and sell from there. This reduces delivery lead time but increases inventory management risk. This model is adopted by resellers who have been selling on CBT mode and understand what kind of product assortment would work in which country. This reduces the risk of inventory obsolescence. Technology is changing the way reseller can display merchandise. The new way to sell is through Virtual Reality and Augmented Reality. The reseller would be able to set up and digital shop with product been projected through VR. This would help in getting closer to physical look and feel of the product. The digital commerce is changing the face of product experience, making it more predictable and reliable for the customer, so, that they can make an informed decision. It will increase the credibility of product and will lead to higher conversion rate. This would be very effective in selling fashion, home furnishing and gadgets. Setting up a digital virtual shop and selling globally is very cost effective. For a customer, he can buy the product from hundreds of digitally set up virtual shops. The use case of the product can be given by augmented reality, this is not very far-fetched as India would see Flipkart and Amazon moving to same in next few quarters. Another cost-effective way to showcase product is demo videos. Today on most of the evolved platforms reseller can put videos making product demo and pitch clear to end users. Digital commerce is giving the flexibility to operate from remote locations. These platforms are flexible to the extent that seller can have a global shop with effective product display and full control of the sellers. The digital marketplace is making seller sell across the globe in simplified manner and technology reduces the complexity involving traditional export.